Stories. We have all heard the family stories growing up. But why were they important? Stories tell us who we are, where we came from, and more importantly, why we behave the way we were taught. Growing up, we sang a song in church titled, “Count Your Blessings.” The message was clear: to count our blessings in order to remind us of what God had done and is doing in our lives. This was the message God was trying to get across to the Israelites. They forgot; and their children did not know or understand the reason for their devotion to God. Moses was gone only a short while before they demanded an idol to worship. The history of the Jewish people in the Old Testament is an example of what happens when we forget to tell the stories of God’s mercy and grace. Stories, especially the stories of God’s mercy in our lives, need to be shared with our children so they understand why we obey and serve God. Isn’t it time that we stop and count our blessings and then, share those stories. 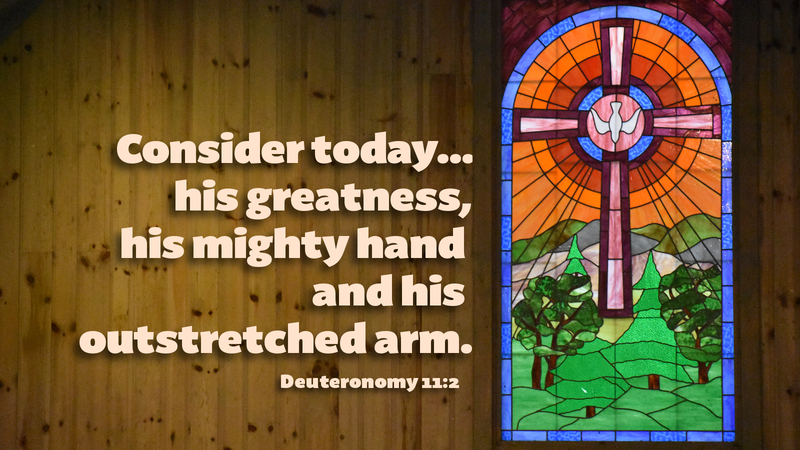 It is important to be reminded of what God has done and is doing for us today. Prayer: Heavenly Father, help us to remember and share the stories of your blessings with those around us. Amen.